RarityDash had the most liked content! A demon must have rewritten reality so that I could return, I guess. Sorry I kinda dropped off from the Gala toward the end. I was having fun but then some stuff came up and I had a number of projects I was trying to get done and it just got away from me. I understand. Hopefully we'll see you in the After-party threads! I was wondering if anyone would actually come when I mentioned this place. Welcome! Hope you enjoy it here. This was a really quite fun episode. Rainbow was flat out adorable. Quibble was hilarious. 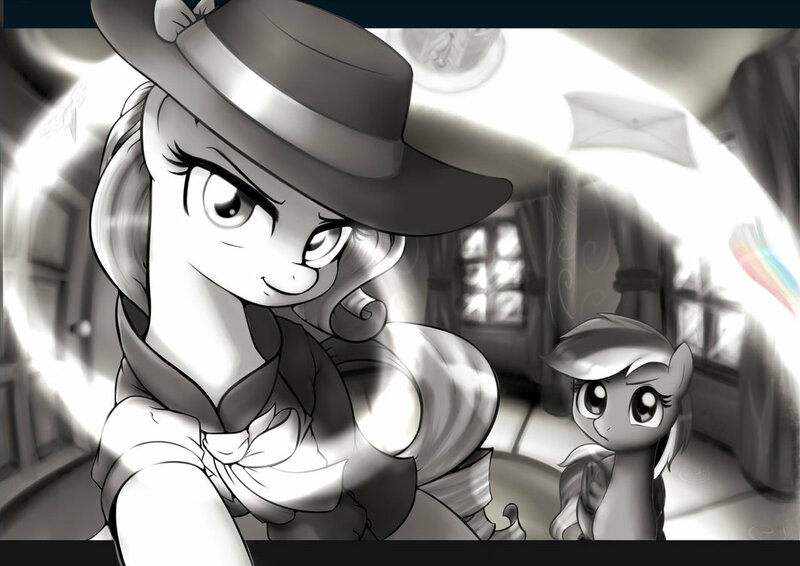 Daring Do was awesome. Great way to kick off the seond half of season six. Wonder how hard people are going to ship it? Randgrid didn't get very far in her valliant charge toward her would be enemy. A series of events happened in quick succession to throw her quite far from her would be target. A large bull caribou appeared suddenly in her path, diverting her slightly with their collision, then a griffon slammed into her, then the barmare, who mader her anger for the display quite plain with her shouted words, threw some ice at her hooves to make her slip, and finally, the dragon flew up toward the ceiling, vacating the general area entirely. Now Randgrid was exceptionally strong, as she had demonstrated quite plainly in her lifting of Sigrun, a caribou noticeably larger than she up over her head, and that coupled with all of the determination burning in her would make it quite difficult for anyone to impede her effort. Under normal circumstances, it'd also be an unlikely thing to see the princess of Whitescar slip on ice. Randgrid, however, had been drinking heavily since the night began and so her footing with the repeated impacts, soon fell apart. Her hooves gave out under her and soon she was skidding ahead on the floor, no longer under her own power. She struggled to regain her balance so she could continue, and was sure that she had, when then all of a sudden she slipped again and this time fell flat on her face. It took a few moments before she could pick herself back up, by which point she was surrounded by several others. Her attention first went to the griffon who had slammed into her, who seemed insistent that the beast wasn't a lindworm. She looked at the creature again, but was not so convinced. "The body is long for a dragon though... and besides..." she started, but her attention was then called away by a new voice. Her eyes found it from a changeling who was familiar to the caribou. They had gotten off to an interesting start, the changeling having compelled her to slay another caribou while she was a puppet to evil magic. 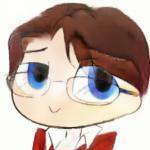 Randgrid harbored no ill will to her, however, and was pleased to have worked with her in the past. "Ah, you're Naj. I didn't see you there, friend," she said. "You would understand the danger. You were there that day with that monstrous Fylkir in the Crystal Empire," she said, recalling the grim events. "And so was your pony friend there, wasn't he?" she added, nodding to the red stallion next to her. Sigrun then came to her and Randgrid's attention was once more arrested by the serpent. Her friend pointed out quite well how this serpent's anatomy differed from the lindworms she had known. She couldn't really argue with the observation, but that wasn't enough to put her at ease. "Sig, my friend, I've been across four kingdoms in the past year and through it all I've seen several scaly beasts of this sort and I've found that it matters not whether they are called lindworm, dragon, hydra, serpent or any other name. None of them are the sort of creature you would welcome to sit and drink with you," Randgrid insisted. "How can you be sure this one is so different from the others?" She then noticed as Sigrun approached the caribou she had initially collided with. The way she adressed him left little doubt as to his identity. She wasn't about to let her eye off the serpent, whom she remained confident was still there for nefarious reasons, but she nevertheless stepped toward them and gave a nod. "Halvard of Breen, I take it?" she said as she sized the bull up. "I've heard much about you, friend. It is a surprise that we had not crossed paths until now when you decided to cross mine in so literal a fashion," she added, not too wound up to give a laugh. Though the gentlemanly griffon managed to introduce himself, little else was allowed to transpire before very suddenly Rarity was violently pulled away from everyone else by Dash. It was a surprising thing and once the two of them were alone, Rarity realized how much she didn't want it. She wanted to distract herself. She wanted to be amongst others. She wanted to hear Silver's answer about that dance. The last thing she wanted was to recieve any kind of real answer when it came to Rainbow. And yet that answer came. It came like a great weight hurled right into her face. There was no doubt possible as to the nature of Rainbow's awkward, fidgety words. Ranbow was without question smitten by Carrot. She was there as his date. Her beautiful dress was to impress him. In the wake of the realization, she felt stunned, all at once like she should laugh and like she should cry. How? Had everything been simple missunderstanding? Or was this a more recent development? Either way, some Shadow Spade she was, collected evidence leading to entirely wrong conclusions. And what did that say? For her to missinterpret things so regularly in the same unusual way... she supposed there was no other conclusion than the simple fact that she was projecting her own feelings back onto Rainbow. It had always been her. Rainbow and her heroics and her bravado and her sensitivity and her love, they had left the unicorn fascinated and charmed. It was, in truth, not so different from Blueblood or Trenderhoof, a pleasant daydream, entirely in her head. And that now was all it ever would be, There was nothing more to say. It was over, wasn't it? She had chosen him. Rarity would have to find it in her to move on. "So... all this time... you've had a thing for Carrot?" she asked Rainbow, trembling slightly at first as she spoke. She took a breath. "I've told you before, Rainbow. I'd never judge you. You could have just told me plainly." Rarity felt an irony in her words as they left her. She doubted she'd ever be able to tell Rainbow how she felt, and she wondered if she would be spared judgement if she did. She forced a smile to the corner of her mouth as she looked Rainbow in the eye. Whatever she felt, the pegasus was her precious friend and she had asked for advice. Though she doubted her advice on such things was truly worth much, she would nevertheless rise to the task of giving it. "You really don't need to let it get to you, dear. I know it's difficult; like me, you tend to overthink things that don't need it. But all we can do in these situations is let go. You're a star. Just being yourself, it'd be enough to charm anypony." She ran a hoof over Rainbow's dress then and nodded slowly. "Besides, this dress should make it truly quite easy. Looking as you do tonight, you're not going to have to work very hard to get somewhere," she said her smile becoming a bit more natural. "Just try to wear it with confidence, and let yourself have fun. That's what this night is for." "So come on, let's get back to the others," she finally said escorting Rainbow along back to where they had been before. There, she looked to Carrot, "Sorry about the intrusion, darling," she said with a laugh, though it had been in no way caused by her. "And good luck. I'm sure keeping up with a Wonderbolt on the dance floor is no small task!" she added, giving an encouraging nudge to Dash. When thsi was through she let out a somewhat empty sigh. She didn't want to dwell on it any further. She was at the Grand Galloping Gala and she was going to do her best to at least try and salvage the evening. She looked around the dance floor for an opportunity and found that she had missed her chance with Silver Heart. While she had been busy with Rainbow, the handsome stallion had been swept away by a pretty mare. Rarity glanced to the stage and found that Miss Dissonance was still occupied with her piano set as well, having changed to a more exciting but no less beautiful waltz. The two of them occupied, Rarity pondered who else she could approach for a dance. She supposed she could just cut her losses and dance with a good friend like Valen. He'd probably have fun. Then again, he was there for work rather than as a guest and, after it all, she wasn't quite sure she was ready to face all of his youthful cheer and optimism. That left the griffon who had called himself Tariso. Rarity didn't know him at all. He had presented himself as a gentlemanly charmer, but Rarity didn't know if that was the truth of his character or if he was a simple scoundrel. His bold approach left little doubt as to his interest, at least. Rarity stepped toward him. "My apologies, sir. My friend can be somewhat unpredictable in her actions at times," she said with a small laugh. "Now, where were we?" She recalled his rather formal introduction. She had actually heard the name Goldplume before. In her recent venture to Aquellia she had saw fit to learn a bit about the country. The Goldplume clan was one of the three most prominent in the land, known for its wealth and influence. And he had also said he was a captain, hadn't he? Most likely that meant he was with the Aquellian marines. Putting it all together, she realized this must be someone truly distinguished. "Perhaps you'd care to tell me more of yourself, Captain Goldplume, over a dance?" she asked, extending a hoof to the griffon. Serendipity was surprised. She had thrown in a flirty comment in her words to the empress because she really couldn't help herself, but if she had thought about it a bit more, she might have held back in this case. Sure, she hadn't hesitated at all in her ignored comments to the princess, but Equestria had like five or six princesses so it wasn't as big a deal. As far as she knew, Long Guo only had the one empress, and she was like totally dignified. To have her careless comments then actually elicit a cute blush... it was totally unexpected. And kinda nice. Serendipity didn't like her chances, and part of her wondered if she wouldn't be accosted by some beefy bodyguards if she went too far, but for the moment she was kind of encouraged. First though, she continued to talk with Presteza, her stallion and the caribou. She admired the confidence the painter mare had in her stallion. Looking at his face, she wondered if it was somewhat misplaced, but it was kind of cute. As tempted as she was by Presteza's insistence, there was a greater part of her that would feel bad for taking advantage of the moment. Instead, she decided to tease. "I see, I see," she giggled. "What about Pressy?" she said while looking at the mare. She then turned toward Java with a grin. "How would she react to my stealing a kiss with her strapping stallion?" She moved toward him, for a time giving the impression she was going to do it, but then backed off and laughed. Not missing a beat, she then looked back to Halvard. "Well, that's just the opinions of this one mare. Truth is, whatever I might think of them, the theme joints are succesful. If you do have the capital and want to get something started, I could introduce you to the right people. 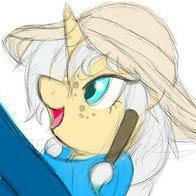 Isn't anyone important in Las Pegasus I don't know," she said with pride. "That said... you really sure it's the right time? I mean, I believe you that you guys are more chill than we'd think, but with stuff like what happened in the Crystal Empire a while back in ponies' memories..." She shrugged. "Then again, perhaps that's exactly why it'd be worth doing..." It was just then that something rather remarkable occurred. A bird unlike any Serendipity had ever dreamed of entered the room. It looked much like the phoenix Fluttershy had brought, but with far more colors and regality. It was stunning. Seren had to remove her shades and just stare at it for a long while, mouth agape. When it had settled, she stepped toward it and the Empress. "It's incredible..." she mouthed. A smile then crept onto her face. "Then again, if present company is a fair indicator, your homeland must be just full of exceptionally beautiful things." She winked at the empress before putting her shades back on. Randgrid grinned at the deep blush that crept across Sigrun's face and slapped her upon her back, laughing mirthfully. It was a rare sight to see her firend so affected, by the words of another. She wasn't sure she entirely understood. The High King was the best of all caribou, so why should any feel embarassment for such a thing? She nodded when the other cow went on to explain about her chosen mate, and how they had met in the arena. A curious thing, that. Randgrid had met countless foes in the arena but never had the thought to take one home with her occured to her. "Halvard of Breen, you say? I know the name. He has a fine reputation, that one. Though I'm not sure I've had the pleasure of making his acquaintence." Randgrid said with marked uncertainty. She had made to many "friends" in her life that it was hard to keep track of them, especially given that so many were made while drinking heartily. "Congratulations, my friend!" She threw back her latest drink and laughed. Then something in the previous conversations occured to her. "And wait, did I hear what you were saying before right? Did you truly take young Limi as your own?" she asked, with some surprise. Limi was one of her own clan, and a bright lad, if not exactly the stuff of which the best warriors were made. Randgrid turned then to the one called Dunder, considering what Sigrun had said about him. He appeared to be something of a lightweight, at least as far as drinks were concerned, but if he had truly answered the call to protect the High King, he had all of Randgrid's respect. She slapped him across the back and grinned widely. "If what Sig says is true, you my friend have my gratitude! It is an honor to make your acquaintence," she said with force. Randgrid then turned back to the other pegasus. The pride she had in her tactics and formations were not unexpected, but it wasn't the approach to battle that resonated with Randgrid. "Ha! It isn't just about muscle, friend, but instinct. You can spend all your time out there strategizing, thinking through every possible situation, but it's no substitute for actually being there in the thick of it, face to face with an unpredictable enemy out to take your life. The truth of battle is chaos. All one can do is react as one must." The princess took another drink and then relaxed in her chair. She then happened to glance over her shoulder at the sound of murmur and quite nearly fell out of her chair for what she saw. As if to prove her point of how unpredictable enemies could be, right there, suddenly in the lounge was hovering a great lindworm. Randgrid stood up and shook her head vigorously, hoping what she saw was simply an illusion brought on by the drink she had consumed, but no, the serpent beast remained. it was smaller and somewhat strange to look at compared to others Randgrid had encountered, but it's shape was such that Randgrid doubted there could possibly be anything else it was. "So, our enemies stick to the same tricks, huh?" she said gravely as she stepped toward the creature. "Don't worry, friends, I've felled bigger ones than this. I shall handle it!" She stepped again toward the serpent. "Foul lindworm, tremble! I, Randgrid of Heil-Barn shall bring you to the ground just as I did your brother in the Crystal Empire!" Not having her sword on her, Randgrid instead started to charge with her massive antlers pointed out, prepared to wrestle the creature to the floor. "i see..." Maud said at Rose's brief explanation. A transformation curse which triggered with a sneeze? How curious. She couldn't help but think it sounded like a troublesome thing to live with. A part of her was, however, curious to see it happen. Rose had soon removed her headphones from her ears and began to instead listen to the music filling the hall. Her eyes met Maud's in time as she looked at her still. Then Rose asked the question, offering Maud her hoof. Maud stared at the hoof for a moment, somewhat hesitant though not for lack of interest, but instead just for an awareness of her lack of ability to dance as might be expected. She glanced back at Rose's kind face however, and found her concerns alleviated. She nodded slowly and tood the hoof. Then they started to dance. It was a slow dance, and not quite in the way most ponies might use the term. It was much slower than that. Any connection to the music would be hard for an onlooker to percieve, and yet Maud could feel the music as she moved, little by little along with it. It was a strange experience for Maud, but her partner was good to lead the way. In time she grew more comfortable with it and started to feel strangely invigorated. She was happy. The same way she felt when she came across an interesting rock she had never seen before. She wanted that moment to last. And she wasn't the only one excited. Pinkie was deeply exhuberant, which wasn't really unusual, of course, but she seemed more so even than was usual. Pinkie had, she supposed, always been keen to encourage here to be more social with other ponies, so in seeing this it made sense that she would be pleased. When Pinkie threw her foreleg over Maud and praised her, It made her feel somewhat self-conscious, but she let it turn to pride instead. "I'm just following what Rose does," she said. Then, suddenly, her sister was pulling Rose away. Maud was surprised, and, for the fun she was having, dissapointed. She was about to question it, when just as suddenly Rose was swung back her way. Maud just stared, not really understanding, but then grabbed Rose's hoof so the dance could start anew. "This is fun," she said. At Rainbow's compliments, Rarity shook her head. "Oh no, darling. I'm hardly such an inspiring sight compared to you tonight..." she said softly. It was the truth. Rainbow had gone all out to make herself look beautiful, almost as if she was out to impress someone. Then came Rainbow's other remarks, about the previous gala. Rarity blushed from embarassment. How impolite of her was it to forget, but everything of that night beyond the dance she had shared with the rainbow-maned pegasus herself was a blur to her. "Ah... yeah... that's right... isn't it?" she said still unable to recall the dance with Carrot with any ease. She nodded at the stallion however as he spoke of his outfit. At his words about Ponyville she laughed. "Indeed. I often wonder how I found any success in such a town as our home where the fashion of the day is to go about without a stich of clothing." At the comments of both Carrot and Rainbow suggesting they dance again, she smiled and then she looked at Rainbow looking so radiant again. "Well... I-I... I mean, if you'd like to... I-I'd love to share a dance," she said, clearly flustered. That was when Princess Bluebelle spoke up again. Rarity was smiling dreamily at the thought of dancing with Rainbow when the words hit her. "Well! It seems I must compliment you on your taste in dates, Miss Dash." 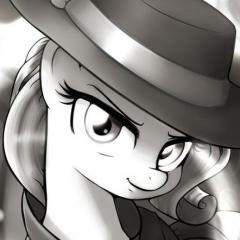 Rarity's eyes widened. She looked to Rainbow and then to Carrot. No. It couldn't be, could it? They were just friends, right? What about that crush Rainbow always seemed to have on her? She wouldn't let her attention be pushed in a different direction entirely so easily, would she? 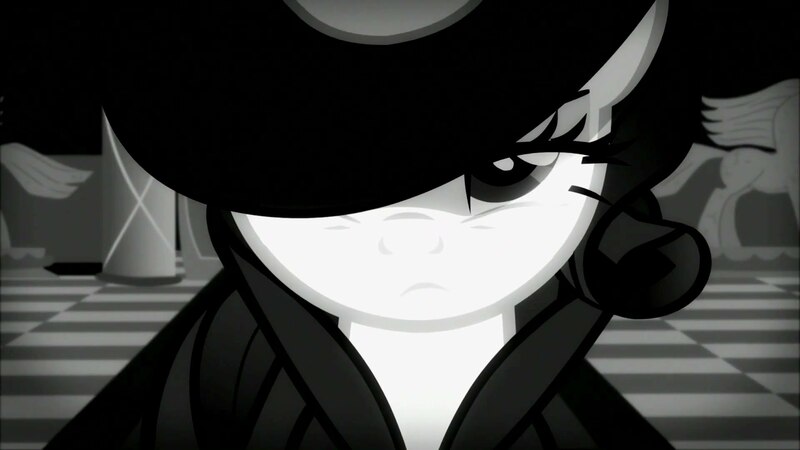 Rarity stared blankly as the thoughts swirled in her mind. She felt small and terrified, like something had just broken. It had to be a mistake, right? "Oh, I think you're mistaken. I'm sure I'd know about it, if Rainbow was dating someone," Rarity said her voice slowly building in confidence. Wanting to point her attention elsewhere for a moment, she turned to some of the others, starting with Valen. She nodded as he suggested speaking to Bluebelle and she stood with him as he asked her. "I hope you don't mind, Princess," she said once the exchange between the two was through. "As remarkable as our young friend here is, I can imagine you'd have liked to keep her in your employ longer." Rarity was then approached by someone she had not met before, a male griffon in a stylish red suit. He proceeded to praise her in a way Rarity was not unfamiliar with. Rarity smiled for the comment, even as she wasn't sure she was in the mood to be flirted with just yet. "It's always a pleasure to make the acquaintence of such a gentleman," Rarity said to him. "To whom, might I ask, do I owe that pleasure?" And then there was Miss Dissonance. Rarity had been unsure before, but now she knew the mare was flirting with her in a rather scandalous way. Rarity had come to rather appreciate this mare from the events they had shared, however, so, what might have been off putting to her from someone who didn't know her so well, was much more well recieved. With the question of Rainbow's status in question, there was honestly a chance she'd let it go somewhere. "You're as bold as ever, Miss Dissonance," she sid with a small laugh. "But yes, I have three boutiques now, with the latest in the fine city of Manehattan. I'd be pleased for you to stop by sometime for me to 'take your measurements', as you say." As Harmonic went to play again, filling the hall with a delightful waltz, Rarity then looked toward Silver again, nodding as he spoke at length of their shared acquaintences. "Wow... and I thought I was seeing a lot of excitement of late. Presteza really knows how to live life to its fullest. The Empress of Long Guo, huh?" she said. She recalled that said Empress was there at the Gala tonight and Twilight and Fluttershy were going to be treating with her. "It would be great to have her as a neighbor in Ponyville. If she does wish to start a shop there, tell her to come to me. I'd love to help her get started." When he eventually made his comments about standing watch while everyone else danced, Rarity shook her head at him. "Nonsense, dear. You should dance too," she said. "As fine a stallion as you should have no trouble attracting a dance partner," she said. "You have one right here, in fact, if you wish it." She smiled to him brightly. Serendipity stared ahead awkwardly as neither the princess or the pegasus in her proximity gave any sort of response to her complimentary words. This was unusual. And highly dissapointing. Seren did on some occasions get the cold shoulder for her flirty remarks, but the brazen was entirely unused to getting ignored entirely. She supposed maybe Twilight was just too wrapped up in what she was doing to pay attention, but to have Fluttershy, who had been good to respond cutely before suddenly acting like she wasn't there rather stung. A little unsure how to proceed now, Seren just looked toward the Empress again and smiled, considering her words for her. "Well, now I'll have to go check it out!" she said brightly and then gave a flirty giggle. "That said, last time I got a hot travel tip from the totally gorgeous ruler of an entire kingdom about some special, serene magic place I needed to check out, I wasn't able to quite find my way there." She laughed as she thought of her attempt to reach Amani, spurred by the letters she had exchanged with Princess Celestia and how it had went so wildly off course as adventure unfolded. "Of course, I did end up helping to rediscover a lost ancient city that time, so it wasn't all bad." She looked then back at her adventuring buddy for said discover and grinned at her. She definitely wasn't about to ignore what the artist mare had suggested. She chuckled warmly and raised an eyebrow. "Oh my, someone is a naughtier mare than I remember," she said with a snicker. She then looked at the stallion who Pres had called Java. His absolutely stunned reaction followed by failure to deny he'd be up for what his marefriend suggested was pretty adorable. It was certainly a tempting suggestion. A big part of her considered kissing the other mare right then and there. This was the Grand Galloping Gala, however, and gorgeous ponies abounded who were single and unattached. If she did such a thing, it would kill her chances with any said ponies who might be in her proximity. She looked again at Pres and grinned. "Judging by the look on his face though, I think if we did anything, your stallion here might break," she glanced at the stallion in his little stupor and laughed. "Though, eh, who knows where the evening will take us." That was when she noticed that there was another nearby trying to get her attention. She supposed she had overlooked him what with her mind so dominated by the pretty princess, the pretty pegasus and the pretty Presteza, not to mention the oh so enchanting empress. Which was actually kind of weird still since he was not a sight easily overlooked. He was a caribou, and a fine strapping specimen of one no less--big, bearded and decked out in like armor. Sure, he wasn't exactly Seren's type, but he definitely called attention to him all the same. "Sorry, I was occupied," she said smoothly. "I don't think there's a caribou themed place in the city. You guys are just under the Yaks on the intensity scale, which isn't quite what a pony looking for a good time is after. Most the themed places prefer to look at Saddle Arabia or Long Guo for inspiration. Or classic pegasus design, like you see in Acroneighos and parts of Cloudsdale. Or they borrow from the griffons or the buffalo cultures nearby." "Personally, I've never been about the themed places. It's always to tacky and unauthentic. A shallow substitute for getting out there and seeing the real thing with your own eyes," she said with a huff. "The High Stakes is a classy place. It doesn't need some showy theme to get people in the doors."